Our range of uPVC casement windows offer style combined with incredible performance, both in energy efficiency and long lasting operation. You can tailor your uPVC casement windows so that they are the absolutely perfect fit for your home. We provide contemporary uPVC casement windows to homes throughout Margate, Kent, Canterbury, Herne Bay, Faversham, Ashford, Kennington, Hythe, Folkestone, Dover and Deal. Our fully sculptured casement windows are manufactured with the Deceuninck 2800 series profile system. This outstanding window profile will integrate easily into any property giving you a seamless and beautiful finish. The 2800 series has a unique, modern shape with smooth contours, demonstrating the kind of intelligent thinking that makes it so popular amongst homeowners in Kent. Our uPVC casement windows will keep your Margate home warm during even the coldest of winter months and cool during the warm summer months. Our A-rated windows offer up to three times more insulation than standard double glazed units, retaining heat in your property for longer. Through the uPVC frame and the glazing in the window, your home will remain more comfortable with less heat being lost through the windows. This will reduce the Margate homeowner’s reliance on their central heating, which in the long-term will save them money on their energy bills and even reduce their carbon footprint. The windows will also not be plagued with condensation as they will be more airtight and the inside pane of the glass will remain warmer for longer. For truly flawless design, the Deceuninck casement window is the ideal choice. Offering exceptional security and efficiency, these revolutionary window systems can be individually tailored to meet your design ideas. They really are one of the most popular double glazed window ranges in the industry. You can choose from a range of impressive colour options and exclusive opening features, giving you complete control over the final design. Our uPVC Casement Windows won’t compromise the existing security of your Margate home. Our windows have been manufactured in line with recommendations from the Association of Chief Police Officers (ACPO) to install windows that comply with the latest European security standards, including BS7950 and PAS24. These windows form a protective deterrent against modern-day burglary techniques, with shoot-bolts installed into the frame as standard. Customers can further secure their home with optional claw locks which fit on the hinge side and secure into the steel reinforcing, so your windows can reach Secured by Design security standards. Our Super Fortress range of fully sculpted casement profiles from Deceuninck, are highly desirable amongst homeowners due to their versatile design. This pioneering casement window range features low sightlines, grey weather seals and a multi-chambered construction for superior energy efficiency. Our Super Fortress casement windows offer unbelievable heat and noise insulation, without ever compromising on their delightful style. 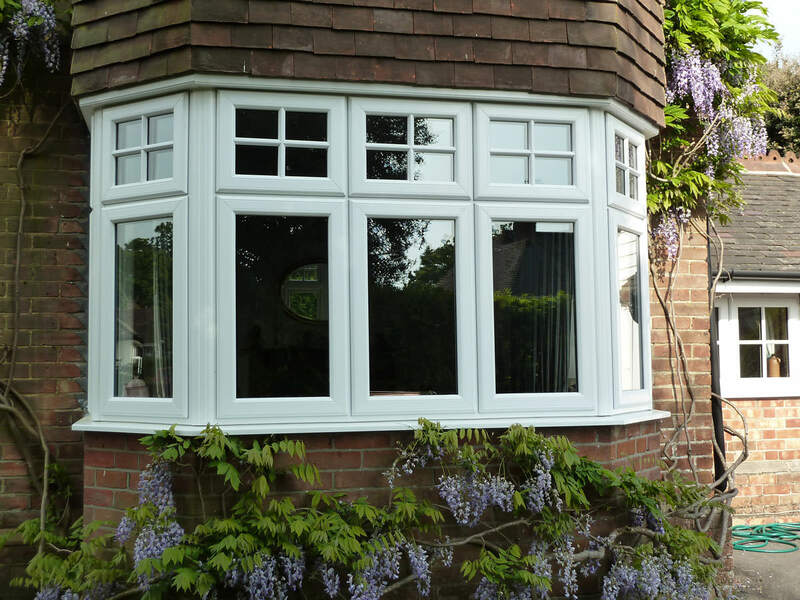 Our uPVC Casement Windows will stand strong against the elements, unlike the traditional timber windows. Our windows will not flake or peel, nor will they require painting or re-painting to look good-as-new. Unlike timber and metal windows which were subject to rotting, rusting and corroding, uPVC is tough and durable and will not warp, twist or split, and providing all the moving parts are oiled regularly, they will open and close without catching or binding, keeping your Margate home draught free and weatherproof for many years. Our Fortress casement window by Deceuninck is ideal for more traditional properties. It offers a classical look, designed to replicate the old style wooden frames. This beautiful and charming window profile combines fresh, neat lines with a stunning and smooth sloping finish. Whether your home is a period property, or perhaps a new build and in need of character, these stunning windows will add an element of class and sophistication to your home. Our uPVC casement windows are available in over 250 colours with an exclusive satin finish, so whether you prefer bold and striking, or traditional and muted windows, we have a colour that is perfect for you. All our colours and finishes come with a 10-year guarantee, giving you the reassurance that your newly installed double glazed casement windows will last the test of time, and the colour will never fade. Despite our uPVC casement windows being high-end, our prices reflect our aim of providing exceptional value for money. You can be sure that we are one of the most competitive installers in the Kent area, without compromising on quality or service. If you’ve been inspired to update your Margate home with the latest uPVC Casement Windows then reach out to our team today. You can call us on 01843 299 662or fill out our online contact form. For those who already know what colour uPVC casement window they want, then fill out our online quotation engine. This will give you a bespoke estimate of how much our services will cost with no obligation to book. All casement windows compliant with the British Standard Kitemark and Secured By Design police specifications.